Here’s yet another alternative food company devoted to filling the gaps in the lives and diets of those beset by allergies and food intolerances. Lucy Gibney, a former E.R. doctor, acting on her infant son’s severe dietary allergies started up her own company, Dr. Lucy’s LLC, where absolute quality assurance is job one. Dr. Lucy’s bakeware is produced without allergens such as gluten, milk, eggs, peanuts and tree nuts, wheat, butter and casein. 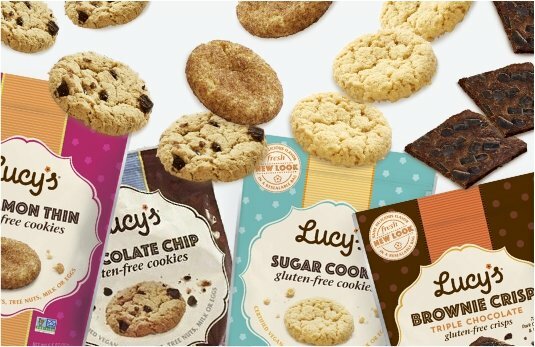 We’re featuring a delectable selection of Lucy’s Cookies and Crackers and Brownie-Crisps.